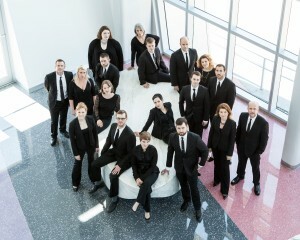 Seraphic Fire, Florida’s GRAMMY® nominated vocal ensemble, brings together professional vocal and instrumental artists from around the country to perform repertoire ranging from Medieval chant and Baroque masterpieces, to Brahms and commissions by leading living composers. In 2012, two of the ensemble’s recordings, Brahms: Ein Deutsches Requiem and A Seraphic Fire Christmas, were nominated for GRAMMY® Awards. Since 2002, Seraphic Fire has put its South Florida home at the center of artistic innovation. 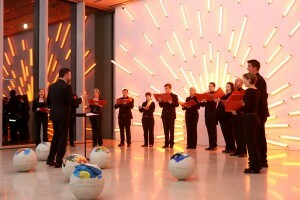 The 2018-2019 Season celebrates cultural diversity through collaborations with fellow Aspen Music Festival resident American Brass Quintet for Renaissance music of Spain under Founder & Artistic Director Patrick Dupré Quigley, with 2013 National Arts and Humanities Presidential Award recipient Anthony Trecek-King for an exploration of the African-American experience, and with National Chorus of Korea Artistic Director E. J. Yoon in a journey that showcases gems of Korea’s choral tradition. Recognized for of its “spellbinding, hypnotic” sound (South Florida Classical Review), Seraphic Fire’s artistic accomplishments also have translated to acclaimed partnerships with The Cleveland Orchestra, New World Symphony, and The Sebastians. At the forefront of Seraphic Fire’s mission is a commitment to community well-being and musician advancement through educational programs for South Florida’s underserved elementary students, as well as rising music professionals at University of Miami, Florida International University, UCLA, and the Aspen Music Festival and School.